This spring, we're celebrating the incredible work of our zookeepers, and with the help of their unique perspective and expert knowledge, inviting you to discover what life at the Zoo is really like. Experience Zoo Life for yourself at ZSL London Zoo. What happens when you strap a GoPro to a zookeeper? Get closer to some of our incredible animals with a behind-the-scenes look from a keeper's point of view! Did you know pigs liked to have their tummies tickled?! Keeper Jessica Jones introduces us to some of the residents of Animal Adventure and explains why training is so important. Get a unique insight into the day-to-day life of our keepers. Our amazing Keeper for a Day experience gives you a once in a lifetime opportunity to get up close and personal with some of ZSL's most popular animals. 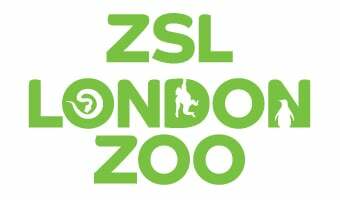 10% discount for ZSL Members. Find out more about ZSL Membership. Calling all young zookeepers! Get hands-on with our fun-packed role-play experience for junior animal lovers. Back by popular demand for May half term! Included in Zoo admission price. Want animals in your inbox? Sign up to ZSL updates today.